Kris Allen. singing "Come Together" by the Beatles. Wallpaper and background images in the American Idol club tagged: american idol season 8 kris allen top 4. 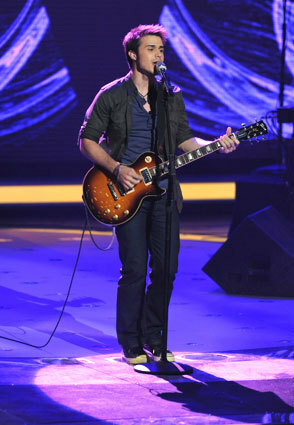 This American Idol photo contains concert, guitarist, and guitar player.